When one thinks of Sweden, single malt whisky is unlikely to be high up the list of things that spring to mind! 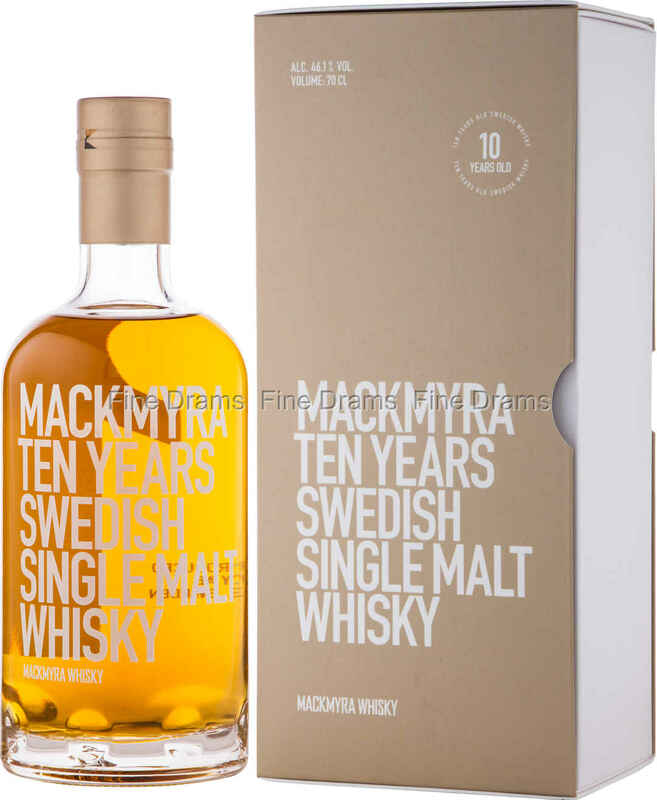 Nevertheless, Mackmyra (found in the Central Eastern district of Valbo) have been distilling excellent single malt whisky since 1998. This is a particularly delicious bottling from the distillery, which contains whisky matured in three different cask types: former Bourbon barrels, former Oloroso sherry casks and virgin American White oak casks. This whisky has been matured for a minimum of 10 years, giving it an excellent complexity and depth of flavour. Drinkers should expect buttery, rich flavours of toffee and vanilla, with a slight piney note and some delicious dried fruits providing subtle intensity. The whisky is bottled at 46.1% ABV, and has no artificial colouration. The extra bump in proof gives the aromas, flavours and finish of this whisky a little extra power. Each bottle comes with a smart and minimalist designed presentation box.